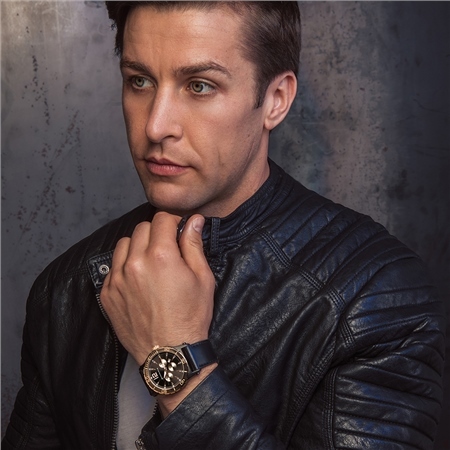 Black genuine leather strap, stainless steel casing with Rose gold detail, Newbridge logo on face, presented in a Newbridge Silverware Jewellery gift box. Chronographs are for decorative purposes only. Product dimensions overall length 255mm.